Input - 120V, 60 Hz. "B" Output - 22, 45, 67, 90, and 135 volts regulated up to 50mA. 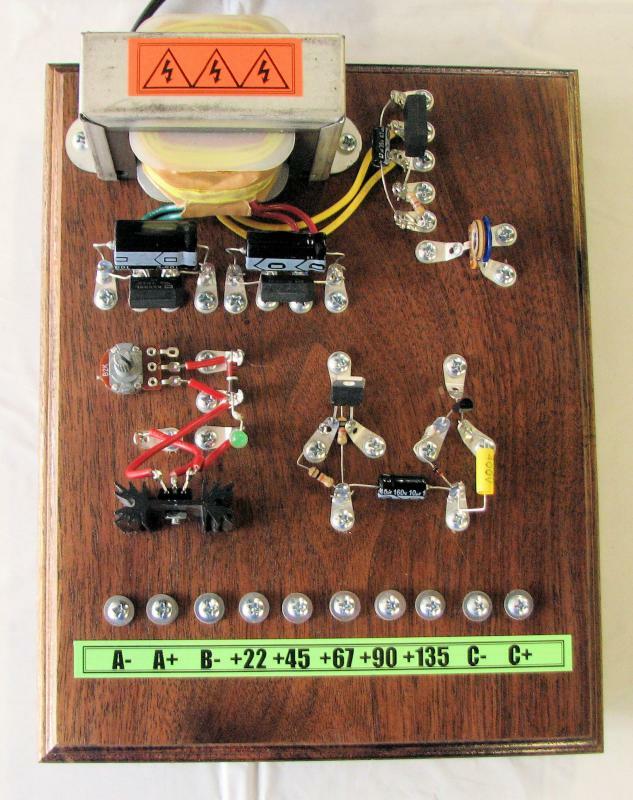 "C" Output - Adjustable 0 to 22 volts. Regulated. 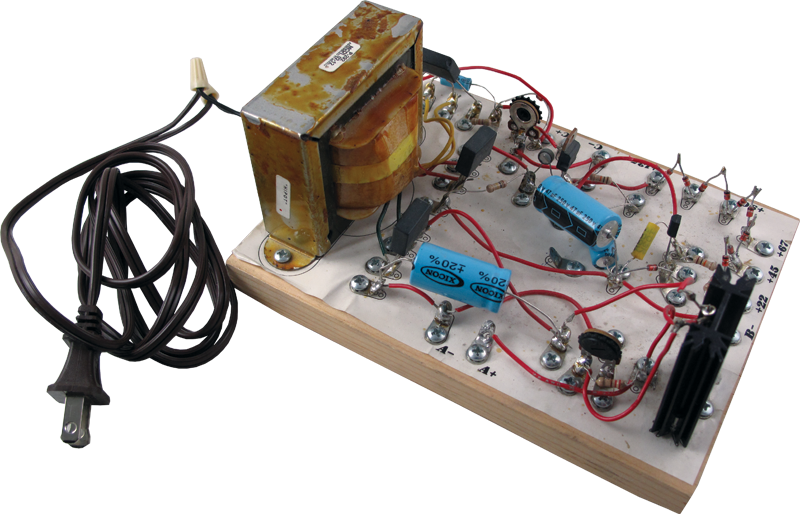 Kit includes transformer, rectifiers, capacitors, resistors, transistors, I.C., regulator, white pine board, and all necessary hardware. Packaging Dimensions 8.3 in. x 6 in. x 3.5 in. I was considering buying this power supply. Glad I read the poor reviews first. Well, two of the 11V Zener diodes were missing, and one of the 15V was just bad. The circuit diagram is difficult to translate to the tabs provided, so frequently found myself switching between the schematic and layout diagrams. 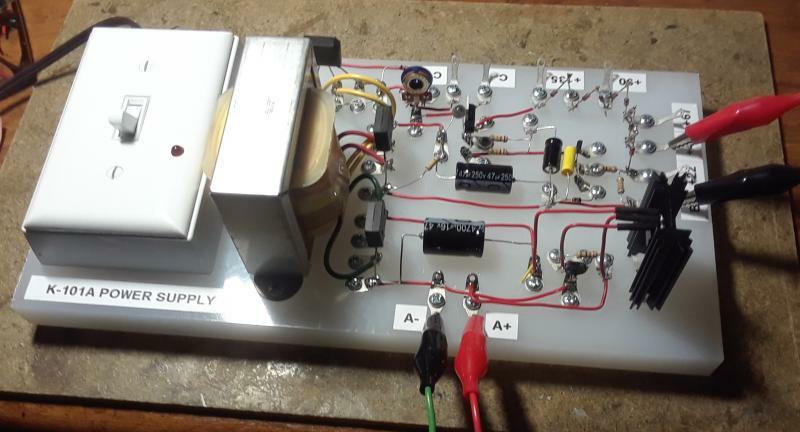 Built it out, substituting and making a couple of minor changes to the circuit for the missing 11V Zeners, and I was able to get B voltages within a few volts of the reported output. Good enough. 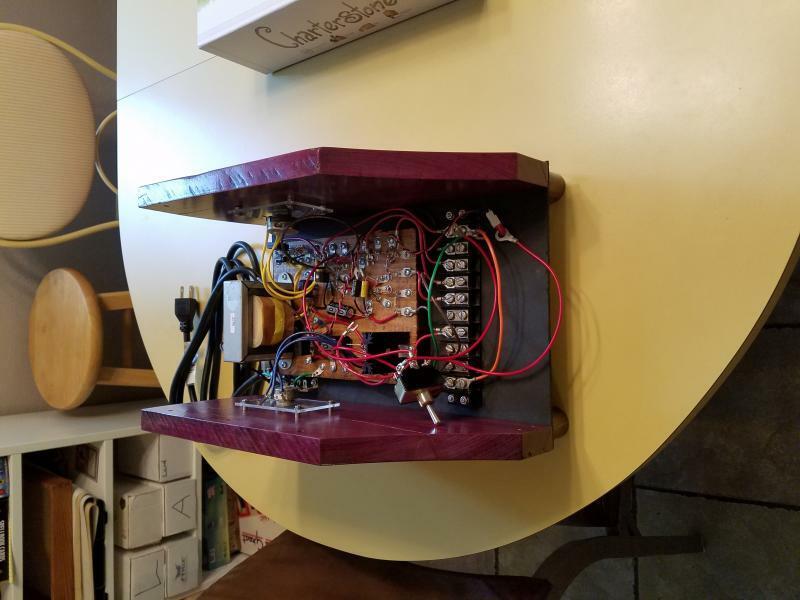 A little more attention to quality control before they ship out the door, and maybe a couple of minor circuit changes, and I'd have given this a 5 star rating instead of a 4. All in all though I'm pretty pleased with the overall kit and it was fun to build, just not totally painless due to a two missing and one dead-on-delivery diode. After building it, I didn't have any "B" voltages. After trouble shooting and taking it apart, realized that I was left with a LM317T for Q1. What is "Q1" supposed to be? I probably have one. For the price, a circuit board should be included. 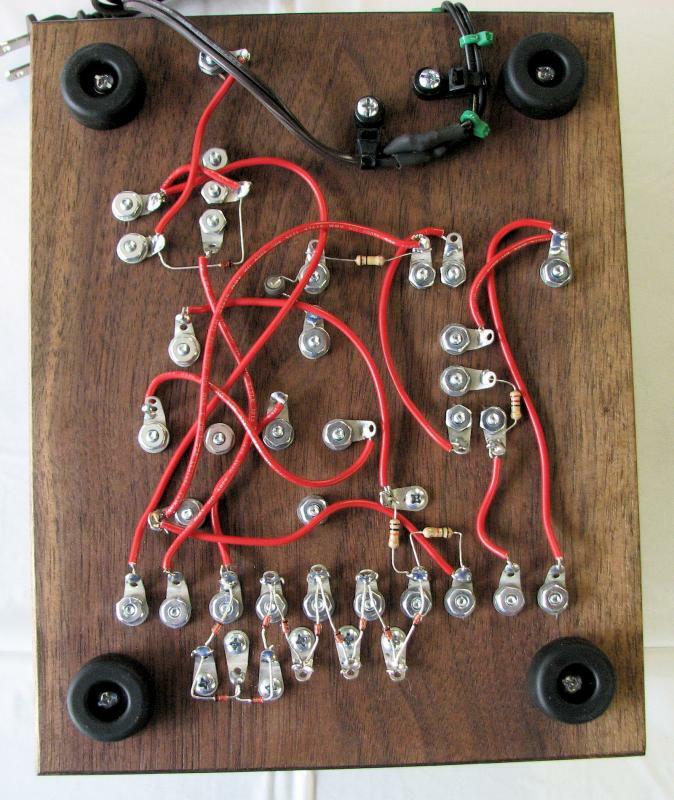 Easily assembled as long as you have basic soldering skills. Inventory parts carefully. I was missing one small part. It was immediately replaced for free. Voltages of 90 and 135 a bit low, don’t know exactly why, but they are close enough for the radio I tested to work great. Nice kit. I have owned this kit for several years now. Although it is rock solid reliable, the filtering is very poor. 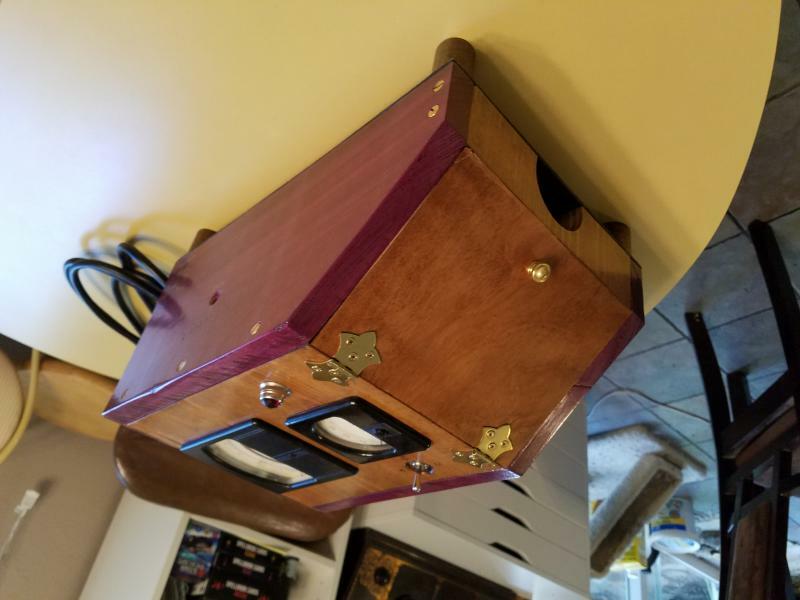 It generates a lot of noise, and depending upon the farm radio you hook it up to and where you use it in your house, it will manifest different symptoms. On a Silvertone Model 1926, I would hear a slight hum with the volume turned down. On an Airline 62-305 it generates hum when tuned to a local station on a particular frequency and, depending upon where I use it in the house, there is static in many areas of the dial. Also, when this power supply is in use and another radio is on elsewhere in the room, you hear a bad hum on the other radio. Turn the power supply off and the hum on the other radio goes away completely. 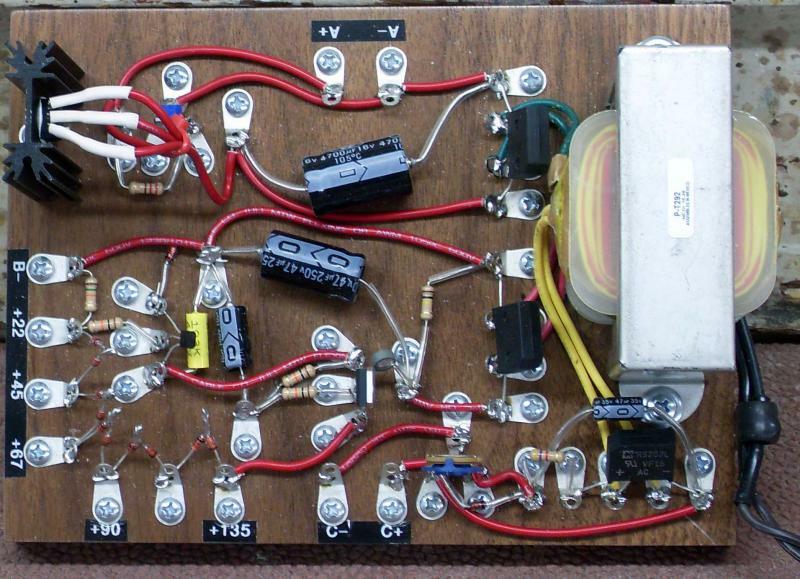 It's time AES took a second look at the design of this kit and improved it. 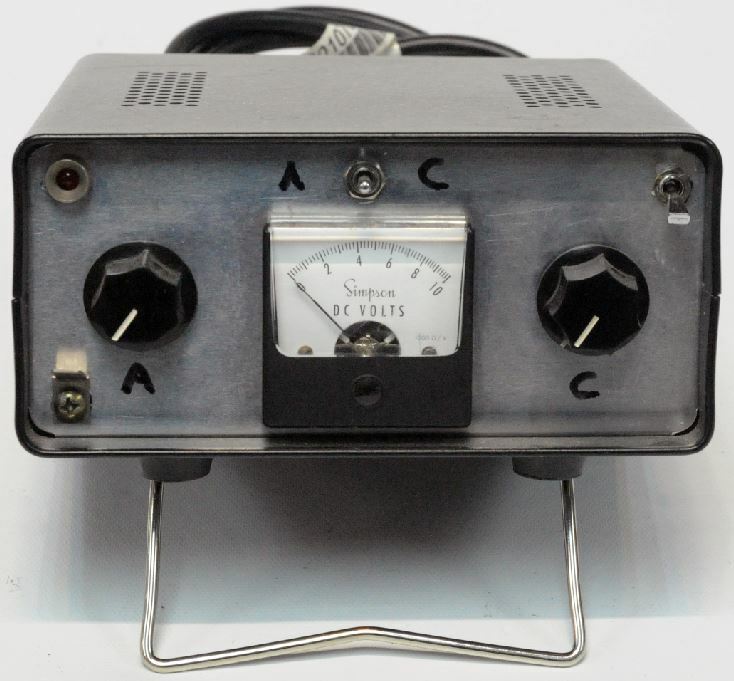 If the power section of AC radios in the '30's and 40's can effectively eliminate all AC hum and static, then why can't this 21st century battery eliminator? Also, I question the wisdom of using a single 4700uf capacitor to filter the filament power. In my experience, the higher the value of a capacitor, the more likely it is to leak and loose value over time. Nice product but found two problems. One was an incorrect resistor which I determined was an honest mistake because of an orange band appearing to be red, and I also have a tiny amount of AC hum in my speakers that I believe is coming through the 301A tube filaments. I still have the set but bought an ARBEIII and problem solved. Asked by Anonymous on April 1st, 2017. You may want to use a soldering heat sink to protect the LM317-T from heat damage. Or for an even safer method, you can use jumper wire contact pin connectors (male), where you simply solder the jumpers to the pin ends and slide the other ends onto the appropriate LM3170T terminals. If the fit isn't snug, you can crimp the flaps around each terminal. All you have to do is solder the hookup wire directly to the three terminals. You will want to check for shorts. Asked by Anonymous on November 2nd, 2015. This kit is available in 110v power only. This kit is still only available in 110v power. The transformer for this kit is SKU: P-T292. You many want to use this as a basis for finding a comparable replacement. You could buy a second power transformer and connect the two primaries in series which will then operate from 230VAC. Then connect like secondaries in parallel (red to red, yellow to yellow, etc). But you have to get the phasing correct; this is easily checked: if it is reversed the output voltage from that secondary will be zero, in that case just swap the two wires. In theory you would then also have twice the current available from the transformer secondaries but in practice this would be limited by using 50Hz mains and what the existing downstream components can handle (diodes, regulators, etc). Asked by Anonymous on October 8th, 2017. Please contact us at: info@tubesandmore.com for more information on obtaining a schematic. Asked by Anonymous on September 6th, 2018. 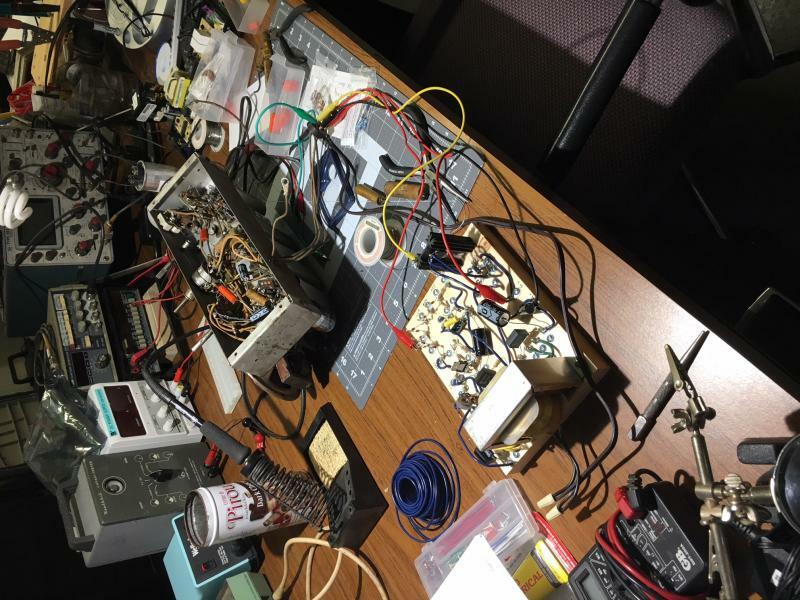 Unfortunately we are not techs and can not advise you on modifying this power supply. You will need to consult a tech for guidance on any modifications you plan to make to this power supply. Asked by Anonymous on May 30th, 2016. Asked by Anonymous on August 12th, 2016. You would need to confirm that your Nr 5. Radio has the same amount of output voltage as provided in these kits. We do not have a case specifically for this kit. Asked by Anonymous on May 21st, 2017. You will want to compare the specs in this kit with your radio for compatibility. Asked by Anonymous on June 8th, 2017. Unfortunately we only sell the kit and do not have one available to demonstrate. Unfortunately we are not techs and can not advise you on modifying this power supply. Asked by Anonymous on June 30th, 2017. Add chokes to each voltage output. Asked by Anonymous on July 12th, 2017. A schematic is included in the instructions. Asked by Anonymous on September 6th, 2017. Asked by Anonymous on October 20th, 2017. We are not techs and do not know why the kit is not operating properly. All of the output voltages are in DC. Asked by Anonymous on November 11th, 2017. This kit's A output has a variable voltage between 1.5-7.5 DC. The B output has a voltage of 22, 45, 67, 90, and 135 volts DC. Asked by Anonymous on December 12th, 2017. Asked by Anonymous on June 13th, 2018. They can be used simultaneously as long as you do not exceed 50mA. Asked by Anonymous on September 7th, 2018. You will want to send us an email to info@tubesandmore.com asking for this manual. We would be happy to send you a PDF. Asked by Anonymous on November 15th, 2018. R9 should be oriented so that the adjusting slot is facing the outer edge of the board. Asked by Anonymous on January 11th, 2019. 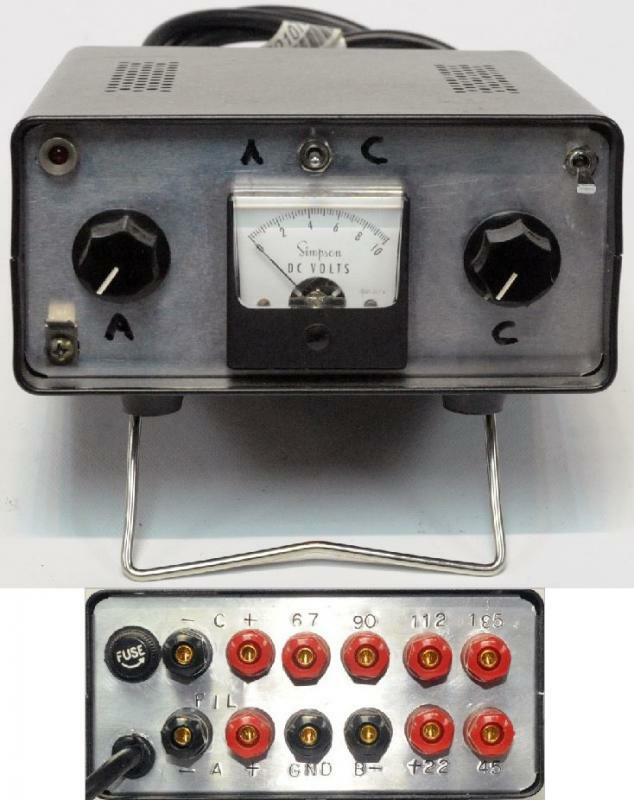 We do not provide technical support and we are unable to verify that this is an acceptable power supply for your radios. Asked by Anonymous on January 30th, 2019. We are unable to verify this can be safely done. We can not provide technical support other than when troubleshooting issues when completing the kit.